Claudia Moras Baez van Cuba werd in Phnom Penh, Cambodja, uitgeroepen tot World Miss University 2017. Er deden tachtig mooie meiden uit verschillende landen mee aan de verkiezing. Anke was drie weken lang in Cambodja waar ze veel nationale monumenten bezocht en meedeed aan forums over onderwerpen als vrede en milieu. In 2016 werd Anke Miss Beauty of Friesland. 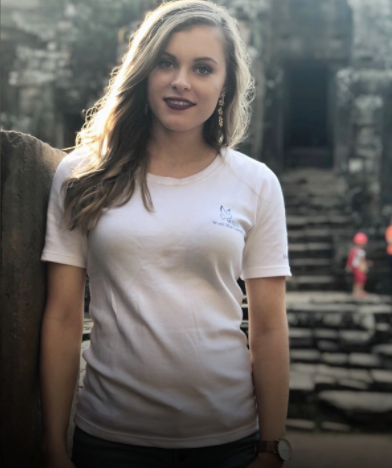 World Miss University is een evenement met als doel het selecteren van World Miss University Peace Corps- vertegenwoordigers. De winnaars van de schoonheidsverkiezing gaan vrijwilligerswerk doen om de wereldvrede en aanverwante zaken aan te pakken voor een betere toekomst. De verkiezing werd in 1986 opgezet ter gelegenheid van het eerste internationale Jaar van de Vrede. Anke komt uit voor de Benelux. 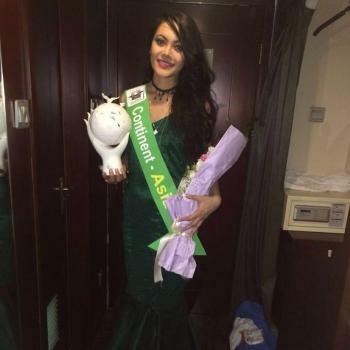 Haar belevenissen zijn te volgen op Facebook: World Miss University Benelux. She may have failed to take the World Miss University crown home but Nthanda Manduwi’s achievements at the pageant have satisfied Malawians. Manduwi finished in the top ten out of 83 models from around the world who gathered in Cambodia to fight for the honour. However, it was the Cuban model who stole the show having emerged triumphant. 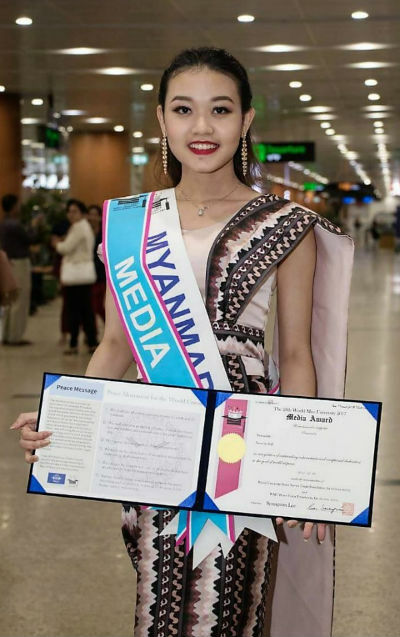 Malawi’s flag bearer at the beauty pageant refused to leave Cambodia empty handed as she was honoured for giving out the best speech during the ceremony. The recognition proved to be a potential diary content for Nthanda, as she went noisy about it on social media. Malawians who were following the pageant continue to congratulate Manduwi for what they call great representation of the country. People claim she is as good as the ultimate winner considering the humble level of the modelling sector in Malawi. The World Miss University pageant involves models who are either graduates or enrolled with an institution of higher learning. Manduwi qualified for the contest by virtue of being a University of Malawi graduate. With a strong background in modelling which includes a second place in the Miss Malawi 2016, she was considered a more befitting model to represent the nation. With the top ten finish and recognition for best speech, Malawians continue to congratulate her. 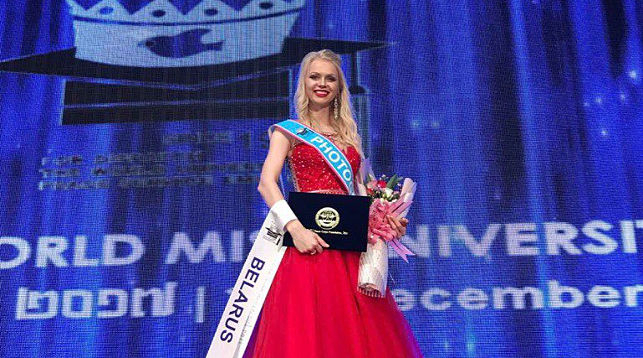 MINSK, 29 December (BelTA) – Karolina Chernoshei, student of the Philosophy and Social Studies Faculty of Belarusian State University, made it to the top six at the World Miss University contest and won a special nomination Miss Photogenic, BelTA informs. “The contest was held in Cambodia from 5 to 21 December. I made it to the top six and received a special award Miss Photogenic. All in all, there were 83 participants from across the globe – the USA, Indonesia, Costa Rica, Colombia, and many other countries,” Karolina Chernoshei said. 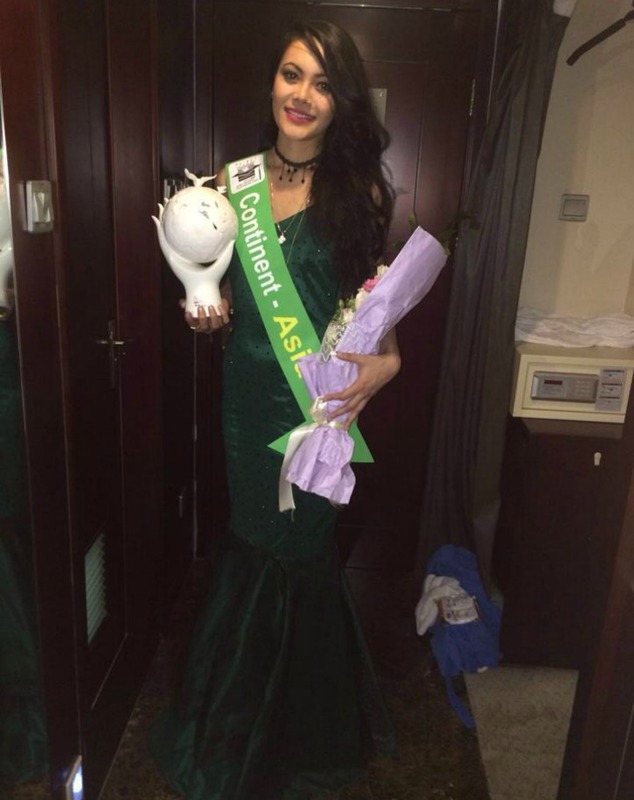 She thanked everyone who supported her throughout the contest. “Thanks a million to those who supported me, sent me messages, voted for me or just kept their fingers crossed,” the student added. 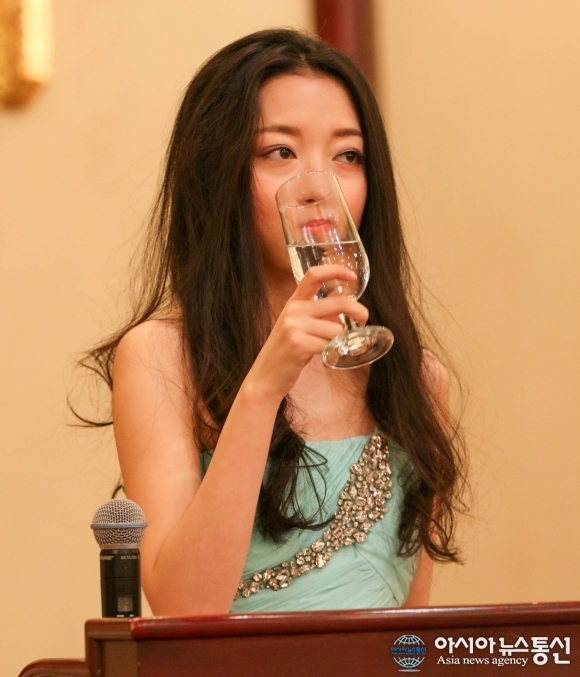 She expressed her special gratitude to the senior staff of the faculty, who congratulated her on the great performance at such a prestigious contest. The annual beauty pageant World Miss University was established in 1986 by the International Association of University Presidents. The first installment was timed to the International Year of Peace declared by the UN. The idea was to encourage the most talented and beautiful students to become “advocates for peace”. Она учится на философском факультете БГУ? ЛидчанкаКаролинаЧерношей также одержала победу в специальной номинации Miss Photogenic. - Конкурс проходил с 5 по 21 декабря вКамбодже. На конкурсе я вошла в топ-6 и получила отдельную номинацию Miss Photogenic. Всего в конкурсе участвовали 83 девушки из различных уголков мира. Это и США, и Индонезия, и Коста-Рика, и Колумбия, и многие другие, - рассказала belta.byКаролина Черношей. Конкурс World Miss University Contest проводится уже 31 год и был создан членами Международной ассоциации президентов университетов. Первый конкурс был приурочен к Международному году мира, объявленному ООН. Идея состояла в том, чтобы наиболее одаренных и красивых студенток привлекать к деятельности в качестве "адвокатов мира". С тех пор конкурс проводится ежегодно. В этом году победила представительница Кубы. 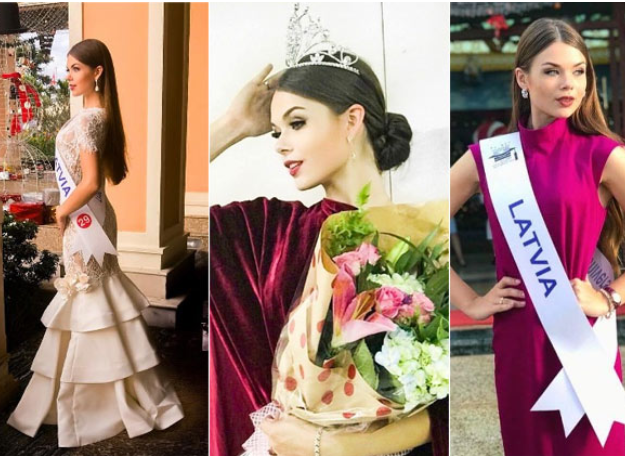 «Miss Latvia 2016» fināliste «World Miss University 2017» iegūst 3. vietu! Latvijā tomēr dzīvo skaistas un elegantas meitenes, ko apliecina «Miss Latvia 2016» fināliste Daniela Gods-Romanovska, kura Kambodžā notiekošajā skaistumkonkursā «World Miss University 2017» ieguva 3. vietu! Šogad konkursā par uzvaru cīnījās skaistules no 83 valstīm. «World Miss University» notiek jau 27. reizi, un šajā atlasē žūrija vērtē ne tikai meiteņu daili, bet arī viņu studiju panākumus universitātē. Daniela stāsta: «Atceros, ka izdzirdēju savu numuru 29 un nespēju tam noticēt. Atceros, ka galvā bija simts un viena doma un pēkšņi jau biju skatuves vidū ar platu smaidu sejā, taču tad pēkšņi pamanīju, ka viena no galvenajām organizatorēm māj ar rokām, un sapratu, ka kaut kas nav kārtībā. Sekundi pēc tam iedomājos, ka varbūt vakara vadītāji sajaukuši numuru, atceros, ka pie sevis nodomāju - nu vairs neko, tagad jāstāv un jāsmaida, lai kas arī notiktu. Tad pēkšņi ieraudzīju, ka organizatore ir uz skatuves un kaut ko cenšas paskaidrot vakara vadītājiem. Turpināju smaidīt, bet galvā jau gudroju, kā graciozi pagriezties un doties atpakaļ, ja nu tomēr vadītāji sajaukuši numuru. Taču beigās izrādījās, ka tika nosaukts nepareizais cilvēks, kuram vajadzēja mani kronēt. Biju neizsakāmi priecīga un lepna, ka esmu godam pārstāvējusi Latviju starp 83 valstīm! Taču der atcerēties, ka kronis ir tikai kronis, galvenais ir tituls, kas ir kā platforma, kura atļauj tev būt sadzirdētai. Esmu priecīga, ka mans vēstījums, ka ir nepieciešami uzlabojumi medicīnas industrijā, tika sadzirdēts. Jo kā nekā cilvēki slimo visās pasaules malās, taču pieeja medicīnas aprūpei daudzās valstīs ir apgrūtināta. Arī es pati cenšos šo situāciju vērst par labu ne tikai ar vārdiem, bet arī ar darbiem, izstrādājot startup, kas cilvēkiem ļautu vieglāk piekļūt rehabilitācijas procesam, kā arī turpināt to mājas apstākļos! Diosa de Ébano, Kelly Escobar, ya se encuentra representándonos, a todos los ecuatorianos, en Xiamen, China, donde se está llevando a cabo el "World Miss University 2016" que ha reunido a más de 60 candidatas de todo el mundo. La gala final tiene previsto realizarse el próximo 27 de Enero, donde Escobar lucirá creaciones de los diseñadores venezolanos Yoel Toyo, (@yoeltoyoaltacostura) y David Cordero, (@davidcordero1970), además diseños de la ecuatorianaElvia Alvarado, (@elviaalvaradod) y su vestuario casual gracias a @sandyfashion. Con traje de baño de @playeravenezuela, los accesorios serán de la espectacular, Jahaira Rivas, con los diseños de @joyitasamano y el calzado de, LissQuirola, (@lissquirola). En tanto el traje Típico fue confeccionado por la diseñadora, Lorena Castillo, (@lorenacastillo). La hermosa Kelly Escobar, fue preparada por Luis Griman, (@luisgrioficial) - el@gurudelabelleza- junto con el Productor de Modas, Coach de Reinas, Coordinador Del EFW y Organizador del Miss World Ecuador, Edisson Guerrero, (@edissonguerreroficial). Así que con todo el equipo que preparó a esta bella ecuatoriana sabemos que dejará el nombre del país muy en alto. Además puedes votar por la representante de Ecuador en la página---> http://www.wmu.world/board_DRfW87 dándole click a la foto de nuestra representante. 22-year-old Rewati is a student of Guwahati Law College, and had won Miss Popular and Miss Multimedia titles in Femina Miss India 2015. Rewati had also made it into Top 50 of Times Most Desirable Women 2015 along with top Bollywood actresses like Anushka Sharma and Kangana Ranaut. The World Miss University pageant has been held annually since 1986, with an average of about 70 contestants joining the competition every year. Rewati Chetri, from Assam made it to the top Super Six finalists through online voting. The gorgeous Rewati is a student of Guwahati Law College and had won Miss Popular and Miss Multimedia titles in Femina Miss India 2015. Rewati had also made it to the Top 50 of Times Most Desirable Women 2015 along with top Bollywood actresses like Anushka Sharma and Kangana Ranaut. 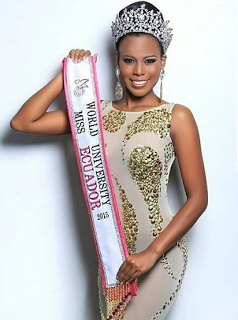 Kelin Rivera Kroll from Peru was crowned Miss World University, 2016. COPYRIGHT © WUPSC ALL RIGHT RESERVED.